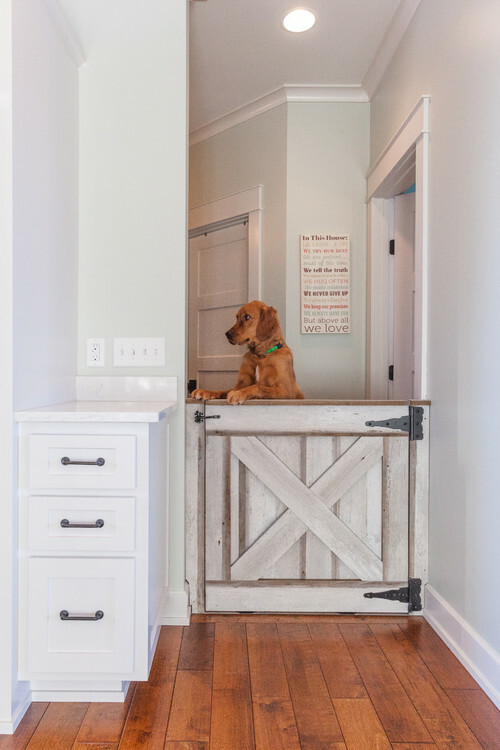 When your house is home to Fido or Fluffy, decorating it takes on a whole new dimension. 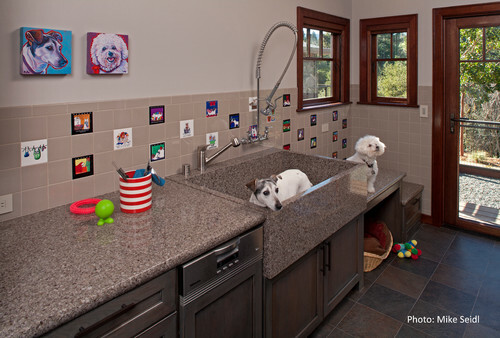 You want your home to look great but you also want it to stay that way, and fur, drool, and claws tend to wreak havoc on household surfaces. 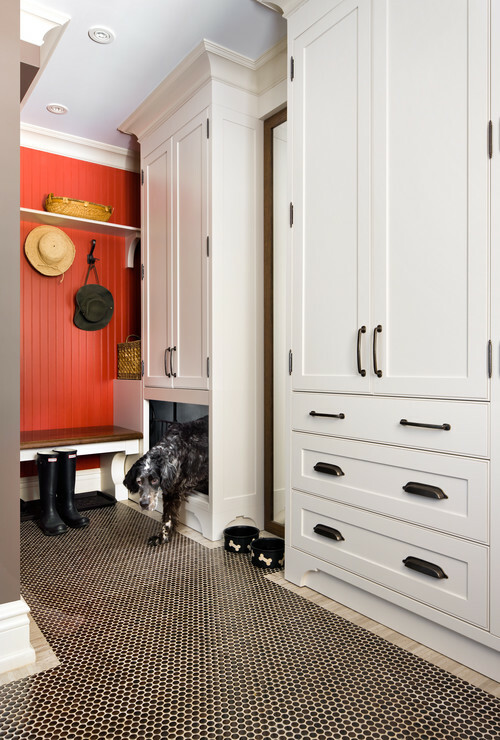 The ultimate pet-friendly home is a place where your pet feels safe and can roam without destroying his surroundings. It’s one of your pet’s most basic needs: food and water. But you don’t want kibble all over the floor or a water bowl that everyone steps in. 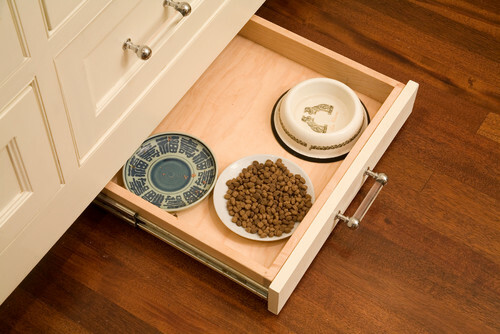 Stow pet dishes in a special feeding niche or drawer so that it’s accessible but out of the way. A slightly raised platform ensures that you won’t step in the bowls. For easy water refills, consider a faucet above the water dish with above-counter controls. 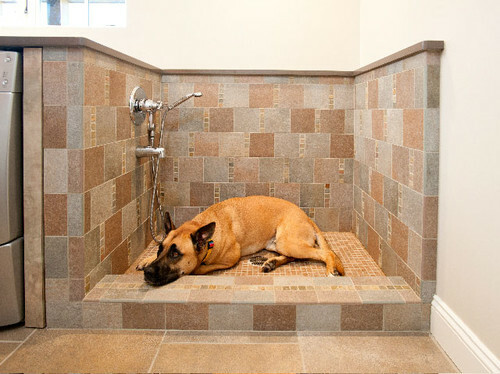 Bath time for your pet can be a challenge, often resulting in wet floors and upset pets. 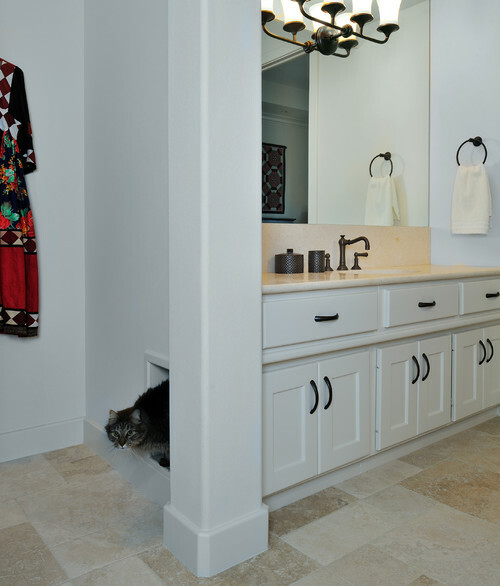 Dedicate a space for bathing your pet – a laundry room or mudroom is an excellent spot – and outfit it with easy-clean surfaces, a handheld showerhead, and easy access for you (consider a raised sink or tub to save your back). 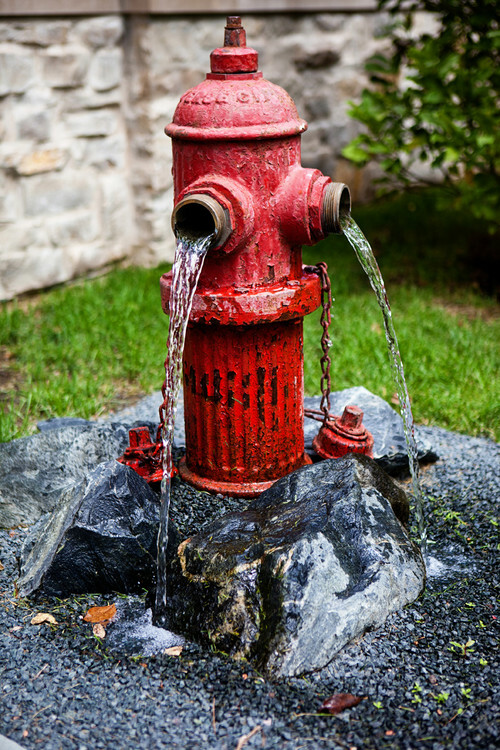 If you live in a mild climate, set up a bathing station outside to minimize messes. 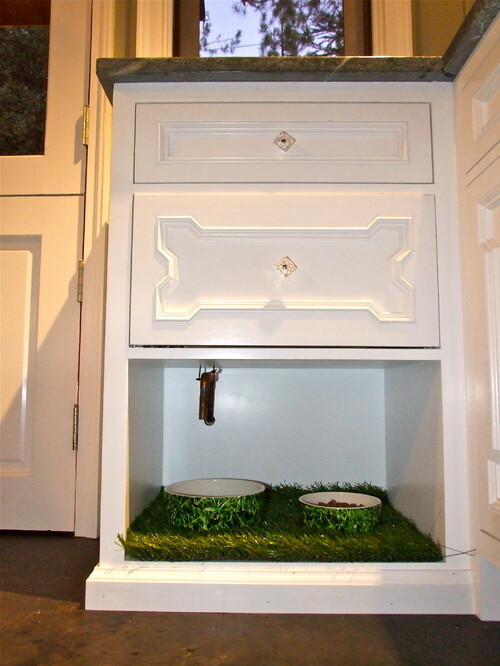 Keep your cat’s litter box in a secluded spot. 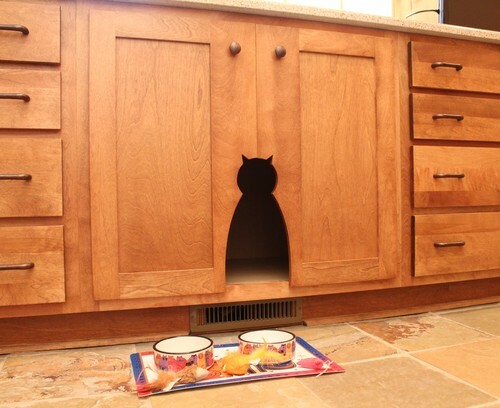 Putting it in a cabinet will give your cat privacy and make cleanup easier for you. This one’s a biggie for anyone with a four-legged friend, especially at entry points (watch out for muddy pawprints!). 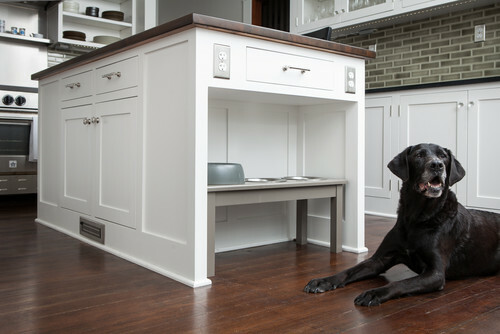 Choose hard, nonporous floors like tile or concrete; hardwood is acceptable if your pet has short nails or if you’re okay with refinishing the floors regularly. 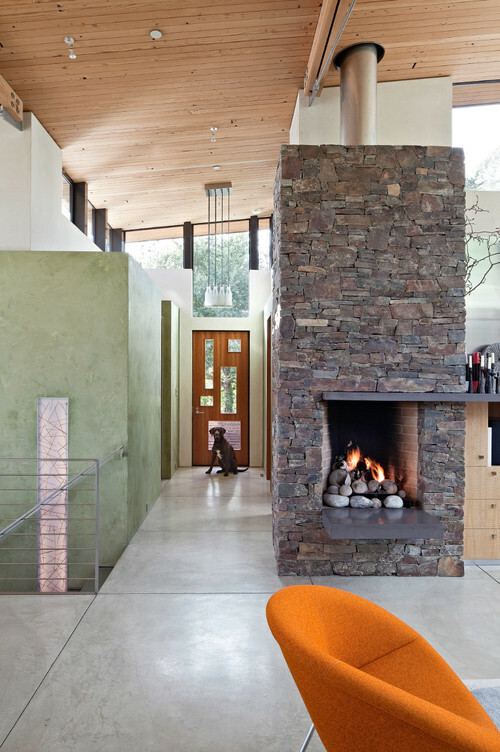 Skip soft materials, natural stone (it can stain), carpet, and nice rugs. If you prefer a soft floor covering, opt for carpet tiles for easier cleaning and replacement or inexpensive or seagrass rugs. Having a pet means having extra stuff lying around. 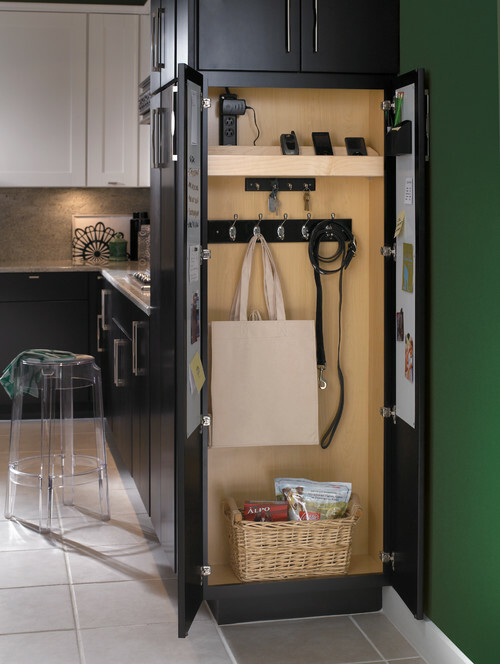 Create a station for dog leashes, toys, and other accessories to keep them organized and within reach. 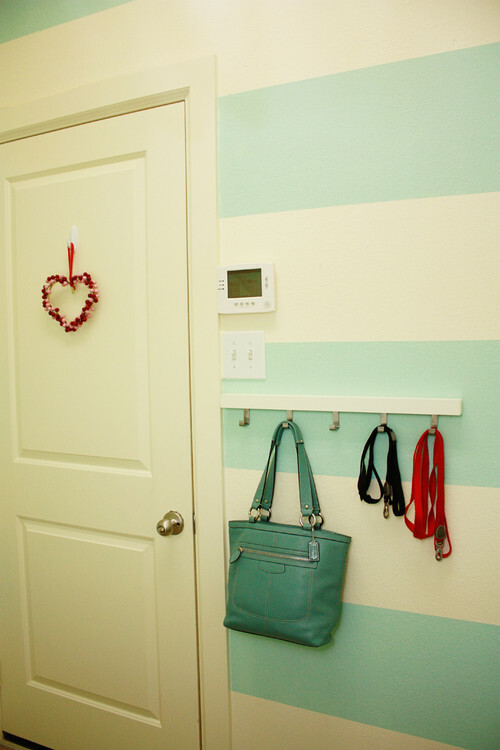 Hang hooks near the door or in an entry cabinet or closet. 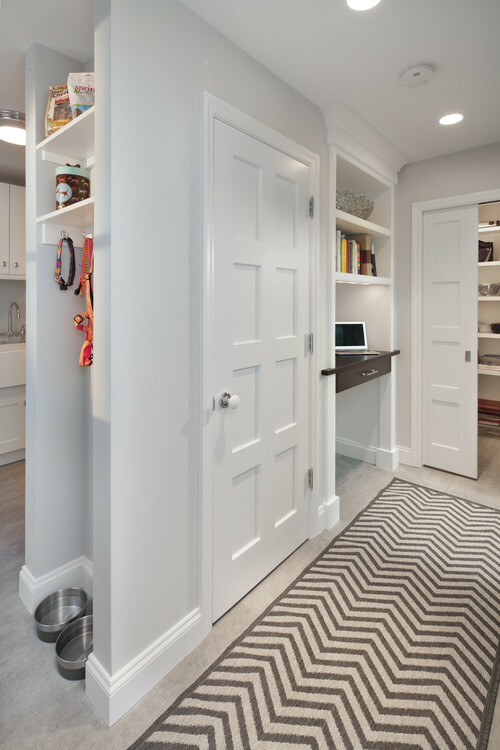 Your pet needs a soft, comfortable place where he feels safe and can sleep soundly. 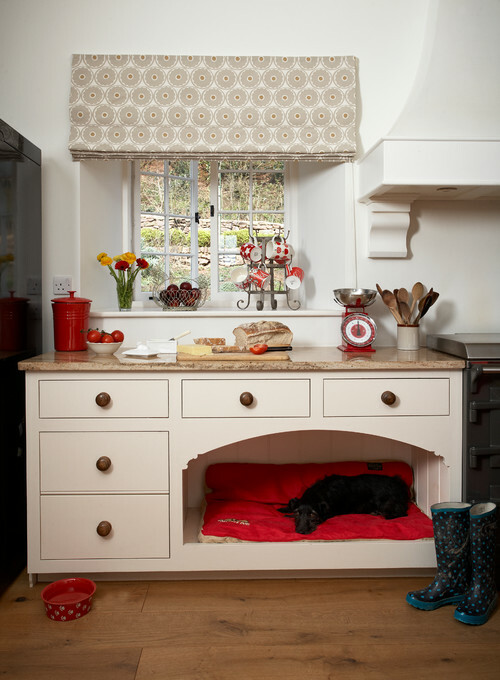 Designate a warm and cozy spot for him and his bed and you’ll have a happy, well-rested pet. Whether you allow your pet on the furniture or not, he’s sure to find his way there at least once. 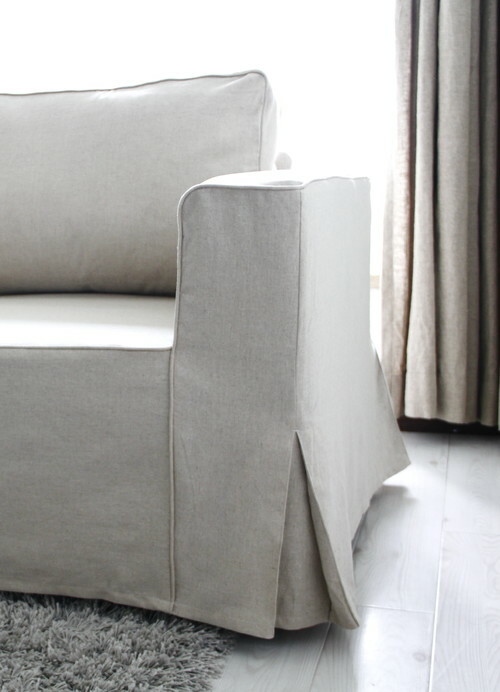 Don’t invest in pricey, non-pet-friendly materials like suede or velvet. 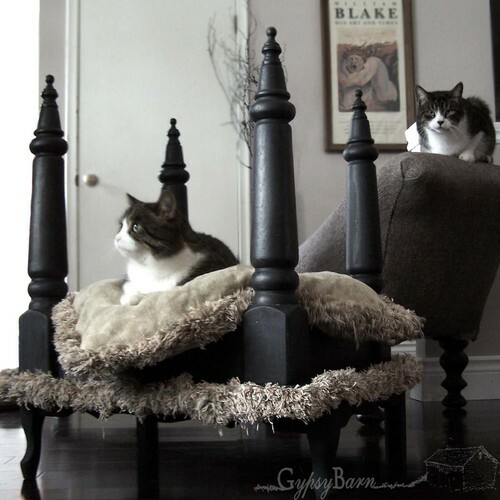 Choose machine-washable slipcovers, wipeable leather (not for cats with claws!) or a revolutionary pet-proof material called Crypton. It’s your job to keep your pet safe. 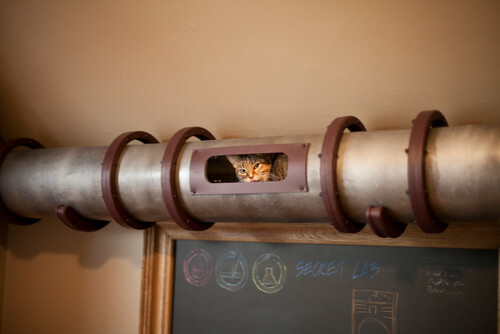 Pets are naturally curious and are bound to get into things that are dangerous for them. Keep poisonous and harmful plants, foods, and cleaning supplies out of reach; secure electric cords, toilets and appliances; put small knickknacks and valuables where your pet cannot get to them. Clean your home well. 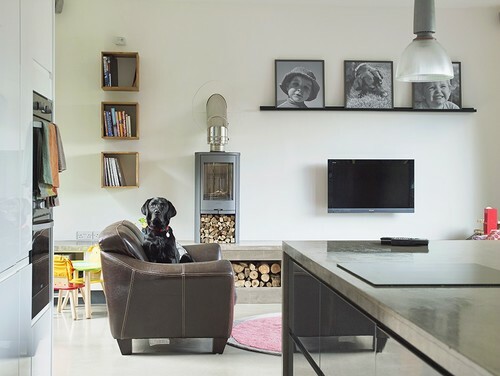 Vacuum regularly (pets shed hair, even if you don’t see it, and it can be harmful to them even if you don’t mind the fur) and use easy-clean fabrics and surfaces – walls included – to make sure the house is hygienic for you and your furry friend. 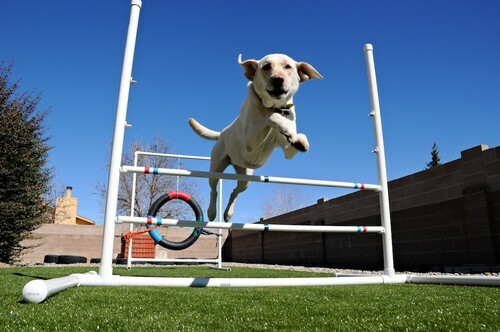 Healthy pets need a place to play! 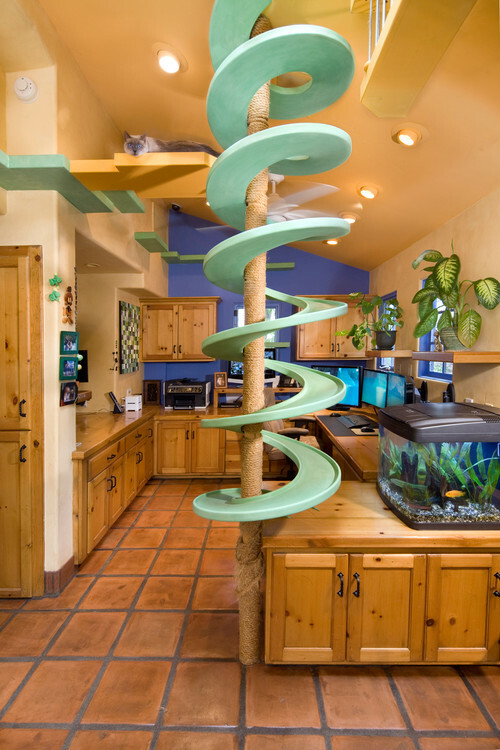 Create a dog run or cat walk somewhere in your home to keep your pet entertained and in shape. Tell us about your pets! 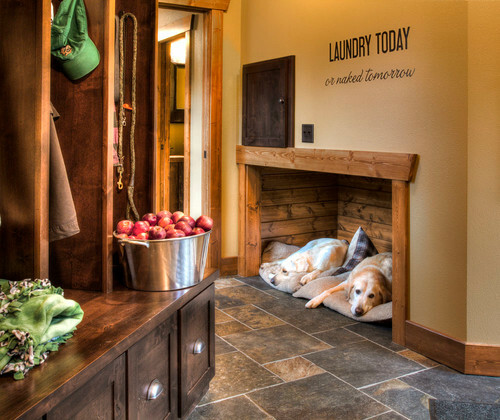 How do you make your home pet-friendly?